Welcome to another edition of the JBoss Editorial where we take another spin through the Community blogs in search of interesting news and developments. This week we begin with Mark Little who has written a great post explaining his thoughts on the next generation of frameworks and stacks to come out of JBoss. He discusses the evolution of existing frameworks and their integration with newer frameworks, such as those designed to support microservices and reactive programming, the impact of migrating applications to the cloud and the benefit to be gained from technologies such as Fabric8 and CD/CI. This is definitely worth reading if you want a better understanding of our future. This week sees the long awaited return of the JBoss Community Asylum with guests Tristan Tarrant and William Burns being interviewed about the Infinispan project. The discussion touches on the use cases for Infinispan as well as some of the new features that have been introduced. If this podcast intrigues you then also check out William's post on expiration in which he describes the behaviour present in previous releases and how this has been enhanced in Infinispan 8. If you have an interest in Single Sign On or Identity Management then you should check out the KeyCloak project, an integrated SSO/IDM server that comes with many useful features. For those of you who wish to do more than read about the server Stian has provided some great instructions for running the server as standalone, within WildFly, within docker or on OpenShift. The Hawkular team are busy developing a Datamining module for integrating into the Hawkular platform the purpose of which is to predict alerts and forecast the values of metrics. Pavol Loffay introduces the work taking place and describes its architecture, its goals and the next steps for the project. The Hibernate ORM team are again cleaning up their open JIRA issues, their intention being to close those issues that are no longer applicable to the 5.0 stream, verify the others and to allow them to focus on those issues that matter most. If you have an interest in Hibernate ORM then take a look through the JIRA issues and make sure that any you care about are covered. As part of our We are Red Hat Week, an annual event that has every office within Red Hat arrange activities in celebration of our culture, the Red Hat France office decided to put on a RedHat4Kids event, following the very successful Devoxx4Kids format, and invited their children into the office to learn about programming. The first presentation is from Christian Posta who recently gave a four day deep-dive course on Docker and Kubernetes, he has now uploaded his slides for everyone to use. The second presentation is a recording of an interview between Markus Eisele and Rafael Benevides in which Rafael discusses docker within the context of Java EE and it was a sneak peak into their Hands-on-Lab at JavaOne. Markus Eisele has cause to celebrate this week with the publication by O'Reilly of his mini-book entitled "Modern Java EE Design Patterns". Markus has provided more details on the book, including its abstract, and also mentions where you can download the boot for free. Packt Publishing have recently released the WildFly Cookbook, a book written by Luigi Fugaro. The book identifies specific goals that you may encounter and demonstrates how each goal can be achieved through the use of individual recipes. The Fabric8 team will soon be visiting New York City, USA to take part in the Microservices Developer Day. The event takes place on November 4th on West 39th Street, Manhattan, New York. The Hibernate team have announced the release of Hibernate ORM 4.2.21.Final and Hibernate ORM 5.0.3. The WildFly team have announced the release of WildFly 9.0.2 and WildFly 10.0.0.CR4. The Arquillian team have announced the release of ShrinkWrap 1.2.3 and Graphene 2.1.0.Alpha3. The Weld team have announced the release of Weld 2.3.1.Final. The KeyCloak team have announced the release of KeyCloak 1.6.1.Final. The Ceylon team have announced the release of Ceylon 1.2.0. The Teiid team have announced the release of Teiid 8.12.1. That's all from this week's editorial, join us again next week when we will bring you more news from the JBoss Communities and hopefully more information about what has taken place this week at Java One. Java One returns to San Francisco next week and we are fortunate to have many Engineers presenting sessions on behalf of Red Hat and our communities. If you are attending the conference then take a look at Markus' blog and see if you can find something that interests you. You may also want to check out the mini-theater schedule at our booth for smaller presentations and don't forget to stop by the Red Hat party where you'll have another great chance to mingle with Red Hat Engineers and talk about anything that interests you. Integrating with mobile devices is often at the forefront of any modern development, a fact that is equally as true for those developing Business Processes. If this is something that interests you then Kenny has a great article showing how easy it is to set up the push server and integrate it with a business process to send notifications back to those using mobile devices. If you are running jBPM or drools in a development environment then you may wish to run both the Kie Server and the Workbench on the same machine. Thanks to Maciej you now have all you need in order to set this up using either Wildfly or Tomcat. If you have been playing around with the OpenShift all-in-one image then you may also have been wondering how to use port forwarding to expose internal services, you may even have tried to make this work and been unsuccessful. Fortunately this is a problem that Markus recently faced and solved, writing up all he details so that we do not have to go through the same process of discovery. After a long break Clement continues his Introduction to Vert.X series with his next topic being the asynchronous JDBC client. Through the use of a working example Clement discusses the setup and initialisation of the asynchronous client before showing how it can be used within an asynchronous application. On November 12th there will be a webinar introducing BPMS, entitled 6 Steps to Your First Process with JBoss BPM Suite Starter Kit. Register now to reserve your place! The Arquillian team have announced the release of Arquillian Recorder 1.1.0.Alpha4 and Arquillian Core 1.1.10.Final. The Infinispan team have announced the release of Infinispan 8.1.0.Alpha2. The KeyCloak team have announced the release of KeyCloak 1.6.0.Final. The Hawkular team have announced the release of Hawkular 1.0.0.Alpha6. The hawtio team have announced the release of hawtio 1.4.56. The Teiid team have announced the release of Teiid 8.11.5. That's all for this week, join us again next week when we will bring you more articles from the JBoss Communities and plenty of news from the upcoming Java One conference. 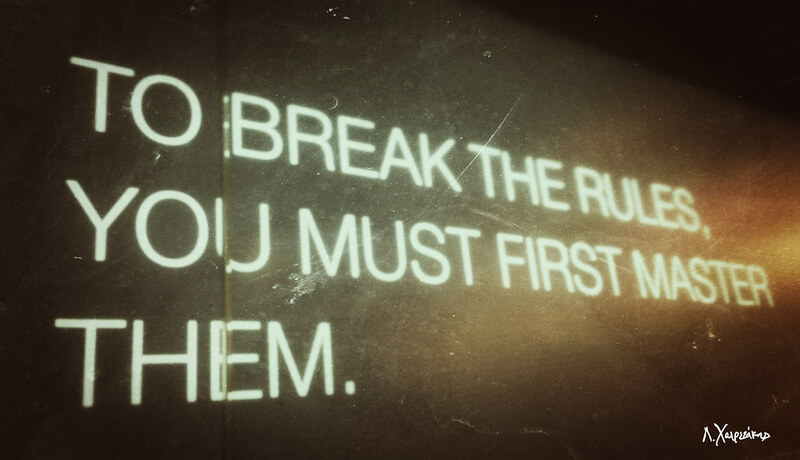 There is alot to report this week in the open source and JBoss Community. I thought I would start off with a today in history moment. American teacher and journalist Noah Webster (1785-1843) was born in West Hartford, Connecticut on October 16th. His name became synonymous with "dictionary" after he compiled the first American dictionaries of the English language. The Merriam-Webster dictionary was first published in 1828 as An American Dictionary of the English Language. From 1787 to 1789 he was an outspoken supporter of the US Constitution. 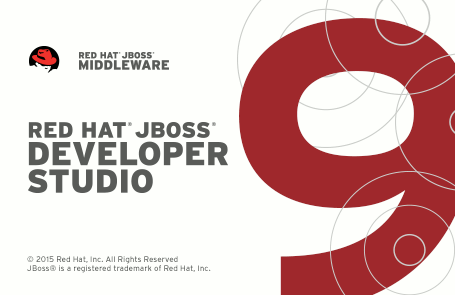 One of the great achievements for JBoss is that JBoss Middleware is used globally by many cultures that use many different languages in many different countries. We are proud to be a global open source community. Releases, releases, releases...and more releases! Teiid 8.12 Final Released - The Teiid Team announced 8.12.0 Final. They have resolved 147 issues (features, enhancements, bugs) in this release. Forge 2.20.0.Final (Silver) Released - The Forge Team announced 2.20.0 Final. What's new included Better Performance, Deprecating your old comments and options and Component upgrades. Arquillian Universe 1.0.0.Alpha1 Released - The Arquillian Team announced 1.0.0.Alpha1 of the Arquillian Universe Component. The project aimed to fulfill two main requirements: Simplify the Getting Started Experience and Unify naming and versions. Hawkular Metrics 0.8.0 Released - The Hawkular Metrics Team announced 0.8.0. The release is anchored by major enhancements for metrics query aggregation, updated container support and performance and stability enhancements. Apache Camel 2.16 Released - Claus Ibsen went through the Top 11 highlights of the Apache Camel 2.16 Release. Fabric8 2.2.51 Released - Claus Ibsen also walks us through getting started deploying and running Java Applications on fabric8 or more precisely an OpenShift or Kubernetes Platform. Keycloak 1.5.1 Released - This release contains a moderate impact security fix. Bilgin Ibryam walks us through a JBoss Fuse and BPMS Integration use case. The use case highlights the camel-jbpm component to make integration with jBPM (a Business Process Management Application) easier. Christina Lin walks us through Connecting to A-MQ in EAP with Camel. The example shows how to connect through the resource adaptor in EAP to A-MQ. Tristan Tarrant describes Stored Script Execution in the Infinispan Server. This means that remote clients can invoke named scripts on the server. Galder Zamarreno continues the blog series on the Functional Map API which was released as part of Infinispan 8.0.0.Final. This week focuses on Functional Map API: Listeners. Markus Eisele expanded upon his deploying Java EE Microservices on OpenShift article to help us learn Scaling Java EE Microservices on OpenShift. Christian Posta describes Microservices Day which will be held in NYC on November 4th. Kris Verlaenen describes Devoxx Belgium which will be held in Antwerp November 9th through 13th. Phil Simpson, Maggie Hu and myself will be hosting a webinar on Building a business application in 60 minutes on October 22nd. The webinar highlights multiple Middleware products used together in a Insurance scenario which includes Red Hat Mobile and JBoss BPMS. Daniel Passos discussed transparency in Android Color. Dimitris Andreadis discussed JBoss EAP and Wildfly. Marek Posolda discussed Authentication of clients with signed JWT . I posted a guest article by Syed Rasheed on Data as a Service for powering your Big Data Solutions. As I have had some questions concerning Ansible and Red Hat, I thought I would include a link here for those that are interested. Ansible and Ansible Tower is an IT automation and DevOps platform that provides significantly simplified multi-tier application deployment and IT automation across hybrid clouds. Ansible will help Deploy and manage applications, Speed service delivery, Streamline OpenStack and Accelerate container adoption. This is really incredible to discover every week what happened during the previous week. You felt that nothing new, trendy was out and finally after digging into the different emails, tweets & forums, you can always find amazing news and info to share with the community. Some of the more significant highlights concern the new Openshift3 tool which help to develop kubernetes applications, improvements did around the Docker tool & the Java EE7 Batch tool. Even if the release hasn't been yet published on the Apache web site of the Camel project, the Apache Camel 2.16 release is out since this Friday. This new release proposes around 10 new components which are really great as it will be possible to generate pdf content (camel-pdf), to expose HTTP-based endpoints using the HTTP Server part of the Wildfly platform (camel-undertow), to transform JSON to JSON messages (camel-jolt) or to use the MQTT client of the Eclipse Paho project (camel-paho). The Open Source Fabric8 project which has been designed around the OpenShift 3 platform & docker container technology provides a DevOps tool to generate a Continuous Delivery project top of docker containers. This DevOps Tool uses behind the scene JBoss Forge to edit the steps of the process to create the environment as a collection of commands. During the creation of the cd-pipeline project, it will be possible to grab the required information like the name of the git repo, to enable the synchronization of the git repo with the Gerrit Code Review server or to specify which jenkins groovy script must be used to setup the jenkins jobs, ... The information collected will be used next to setup the different pods required to put in place the cd-pipeline : Gogs - Git Management Platform, Gerrit Git Code Review, Nexus Maven Repository server, Jenkins Server, Letschat - Chat Server integrated with a Hubot Server, Taiga - Project & Issues management. This DevOps tool has been demonstrated this week during the RedHat EMEA Partners conference by Charles Moulliard. This week in JBoss (1st October 2015) : jBPM, Wildfly 10 and no docker ! Incredibly enough, this week, there is no Docker related news (at least in the JBossverse) ! ! ! But don't worry this does NOT mean, this weekly is empty, far from it. Indeed, on the week jBPM and Wildfly lastst releases, there is a a lot of interesting material to peruse into, so buckle up and let's go ! Some interesting stories around jBPM have been released also last week, including the Google Summer of Code 2015 Success Story: jBPM Mobile (MGTW) , but also a technology highlights: jBPM and BPMN 2.0 workflow creation and a in depth article: Lienzo for new jBPM Designer and Drools Decision Tables. Last but not the least you are living in Chile or Argentina, or going there in November, you might be quite interested by the upcoming Drools Workshops Chile/Argentina (Nov/15) happening over there. Infinispan is an excellent project, bringing the power of data grid storage and computing to the Java ecosystem on top of giving a new youth to the JCache API. If you want to learn more about Infinispan (and its associate Red Hat Product, JBoss Data Grid) and attend the Red Hat EMEA Partner Conf 2015, please come to my lab on 5 Things You Should Know on JBoss Data Grid for a quick, and hands on, introduction to the matter. How to debug Camel application using the tooling provides. Data mapping between POJO and XML, JSON with Dozer with drag and drops only. Deploy and package an OSGi ready Applications. Then, our own Kenny Peeples will take you through the the new feature Data Virtualization 6.2. In case you are not aware of this, Data Virtualization is the Red Hat products associated to the Open Source project Teiid, which, by the way, have been recently named "Best Open Source Application" by InfoWorld Bossie Awards. A nice, simple read here again, but now let's go up a notch, and look at Narayana. Narayana is the implementation of the Java Transaction Service, which is of course a crucial, internal part of our JEE server Wildfly. That being said, most likely - or at least for most of you, you will never interact directly with it. However, now that Narayana team has released a JTS Docker Container, it gives you the opportunity to easily test this framework and see for yourself the intricate complexities of transaction management (if you think that this matter is simple, try, like me to read Mark Little's book on the topic and call me when you hit the first bottle of aspirin...). IMHO, it is quite crucial to any application developer to have a fair grasp of transaction management - at least to know when NOT to use them and when you actually CAN'T go without them. This light docker container might be an easy for you to test it or demonstrate it*. * This docker container for JTS does not count as a Docker related news - not changing the title of this weekly editorial !